Mike Birbiglia’s “Don’t Think Twice” focuses on an improv comedy troupe. A warning about Mike Birbiglia’s new movie: It’s a little stressful. “Don’t Think Twice,” about an unsung improvisational troupe in New York, is supposed to be funny — and it is — but it’s also honest, and that can be uncomfortable. It’s the kind of sharply observed story that Birbiglia is good at telling, as anyone knows who’s seen the Shrewsbury native do stand-up, heard him on public radio’s “This American Life,” or watched his 2012 film, “Sleepwalk With Me.” Bittersweet is kind of Birbiglia’s thing. Most moviegoers won’t be familiar with the comedy-club milieu of “Don’t Think Twice,” which Birbiglia wrote, directed, and stars in. They’ll still recognize all of the feelings — the ambition, envy, and jealousy — that are conjured up when the troupe’s members try, and mostly fail, to find the next step leading from obscurity to success. In the movie, which opens on Friday, Birbiglia plays the nominal leader of The Commune, a comedy collective — its members played by Keegan-Michael Key, Gillian Jacobs, Chris Gethard, Kate Micucci, and Tami Sagher — that has an all-for-one, one-for-all spirit. But when Key’s character gets a coveted spot on a “Saturday Night Live”-type show, the group quickly falls apart. Birbiglia, 38, is still best known as a comedian and monologist. (In addition to appearances on “This American Life,” he’s a regular on “The Moth Radio Hour.”) He was just a kid when he resolved to make a career of comedy. His older brother Joe took him to see Steven Wright at the Cape Cod Melody Tent, and Birbiglia was more than amused. He recalls his teenage self being bowled over by Wright’s absurd observations and deadpan delivery. 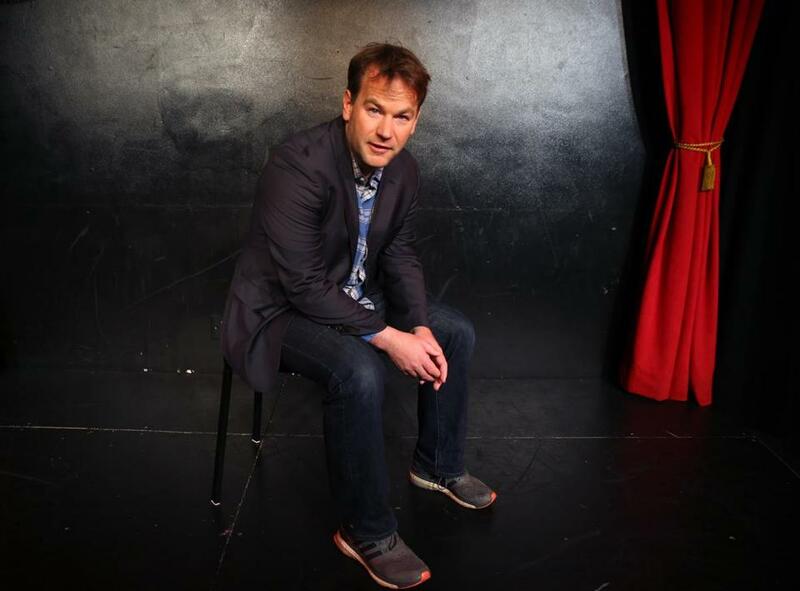 Entering Georgetown, Birbiglia had hoped to join a sketch comedy group, but there wasn’t one. Instead he began doing improv, and quickly discovered he relished the high-wire aspect of unscripted, collaborative comedy. It required him to be nimble and focused. As a sophomore, Birbiglia entered the Funniest Person on Campus contest — and won. His reward was opening for Dave Chappelle at DC Improv, a comedy club in Washington. He parlayed that into a job working the door and filling in occasionally when comics didn’t show up. It was also important that the actors bonded off-screen in a way that would make their close, on-screen relationships more believable. To promote the film, Birbiglia has been doing a series of Q&A’s with Glass and also leading improv workshops at comedy clubs. Invariably, he’s asked for advice and always says the same thing: Do what you want and pay as little as attention as possible to what others, especially the suits in Hollywood, say you should do. Birbiglia is adamant about this. During the interview, the affable auteur suddenly turns serious. “My bottom line is don’t kneel to the gatekeepers of show business. Create your own work and the gatekeepers will come to you,” he says, leaning forward in his chair. “No studio would ever make ‘Don’t Think Twice.’ You’d go in and say ‘So this movie is about failure, about coping with failure, and what it’s like when your friends are successful.’ No one wants to make that movie — not because it won’t be successful, but it won’t be successful in the way studios want movies to be successful. Still, it’s fair to wonder if Birbiglia will be able find an audience for his funny little film about the recondite world of improv. He thinks so. Mark Shanahan can be reached at Shanahan@Globe.com. Follow him on Twitter @MarkAShanahan.